Things I'm reading throughout the year, and what I may or may not think about them. Being a big fan of all of his work from 1996 to 2006, this was a bit of a let down, no matter how much I really wanted to like it. It was his first novel in 7 years, and I had an itch that needed to be scratched. While the premise was pretty interesting, the story itself felt like when someone else tells you about a dream they had the night before. After a minute or so, it's great and all but then you get sort of bored with it because you weren't there, didn't see what they saw and you're ready for them to stop telling the story. The same thing sort of happened with this. 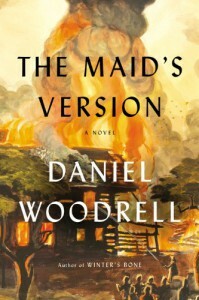 While the events of The Maid's Version are only supposedly loosely based on the actual events of the 1928 Dance Hall explosions in West Plains, Missouri, (which Woodrell adapted to his own literary world, West Table) it still felt like too much of a locals only story that didn't quite interest me even though I only live about 2 hours away. I had hoped that the story would be transformed into something more relate-able for those outside Howell County. The other problem I had with the story is that it jumped from past to present to yet other points in the past and back again at times with nary a hint of doing so. So after one character had died, you'd have another chapter later on down the road where he or she would show up again. And then I go "oh, this is a flashback". All that being said, Woodrell is still a great writer and it seems more evident now than ever. 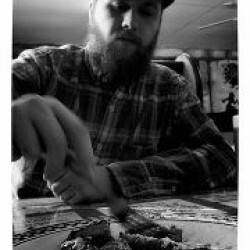 His voice has matured beyond his standard penchant for hillbilly talk and an eye for rural life & crimes. To be honest though, I really liked that about him in the first place and I miss it.